Ea ch year in the EU there are thousands of forklift/pedestrian accidents. Sure back-up alarms are effective, but what happens when employees are listening to music, talking on mobile phones, or staring at the ground? 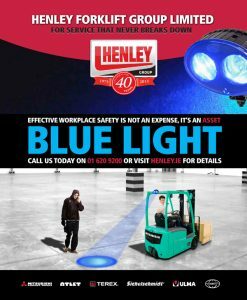 That’s where the blue safety light can help! 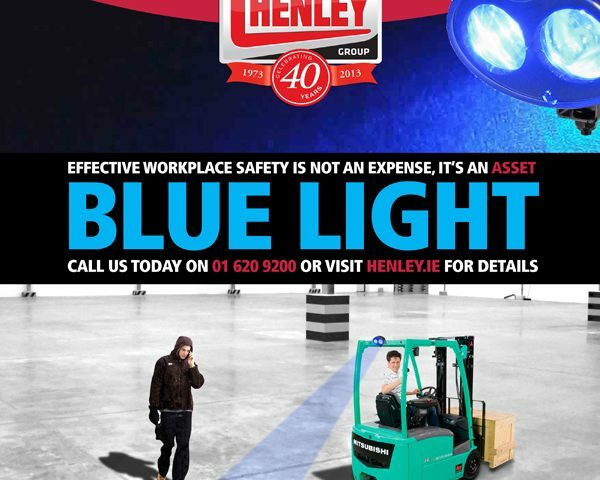 The innovative blue safety light helps avoid forklift/pedestrian collisions. For a relatively small investment in safety technology you can make a BIG difference in the effectiveness of your overall safety awareness plan and policies. Effective workplace safety is not an expense, it’s an ASSET. 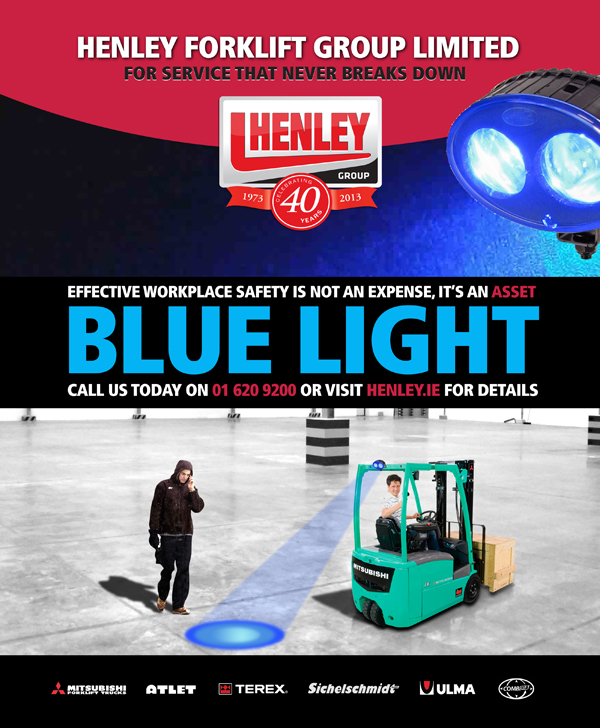 Help protect your employees and your bottom line with this simple and effective spotlight.